We would like to thank you for trusting us, and choosing All Star Paving & Sealing for you parking lot. We are glad that you have choose the parking lot maintenance for your parking lot, because this will keep your parking lot safe, secure, and looking great. We just wanted to let you know that we offer snow removal too for parking lots. We know how hectic it can be when snow needs to be removed. Set up your snow removal, so your parking lot is safe for your customers. All Star Paving & Sealing is the only parking lot provider that does it all. We received a call from a popular organic foods market owner in Easton. 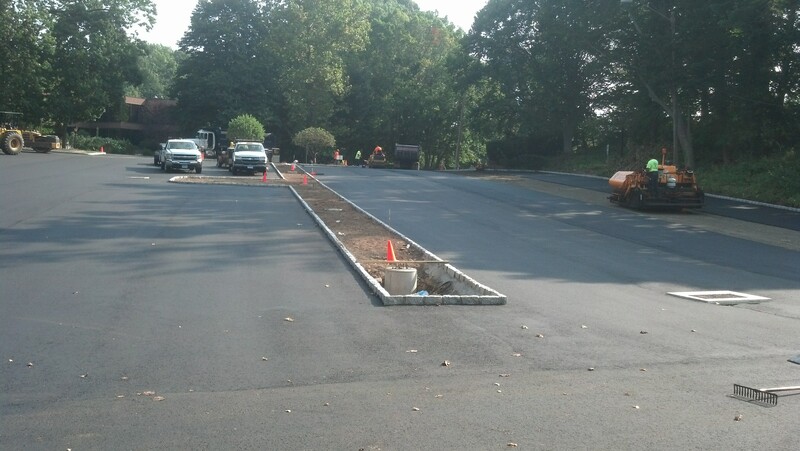 The owner wanted to expand their driveway, and add a small area for a bike rack to accommodate their loyal customers, so they called the most qualified asphalt contractor Easton had to offer, All Star Paving & Sealing. A couple of the All Star Paving & Sealing team met with the owner at the market to see exactly what he had in mind with the driveway expansion. He showed us how he wanted to extend the driveway, and where he would like the bike rack to be located. We assured him that we could indeed meet his expectations, and gave him a quote that no other asphalt contractor Easton could provide. The owner wanted us to start on the project in two days, because that was his slowest day. The All Star Paving & Sealing crew arrived at the market and began doing the asphalt driveway work. By late afternoon, we had the driveway extended, and the bike rack area installed. The owner couldn’t believe how quick and wonderful the work was done. The customer contacted us a month later to let us know that the driveway is really a benefit to him and his customers. He had seen an increase of twenty percent in sales since the installation. The bike rack is always full, and his customers are very pleased with the updates that we provided for the market. A Norwalk gas station owner was trying to think of ways to increase his business. His wife suggested adding a car wash to the gas station because many car owners like to fill up on gas and have their car washed. The owner agreed with his wife, and starting planning on adding a car wash to their premises so they first got a quote for asphalt Norwalk drivers could count on even when exposed to cleaning solutions regularly, which was All Star Paving & Sealing. 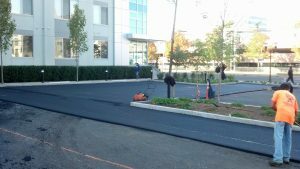 All Star Paving & Sealing provided them with a free estimate and assurances that the job would be no problem for us, because we are the asphalt Norwalk specialists. The couple agreed, and hired All Star Paving & Sealing for the car wash expansion. The All Star Paving & Sealing crew started on the expansion, and within a week we had the car wash ready for business. The couple started a promotion for their customers that allowed each customer that filled up to receive a free car wash, and the cars were lining up for this deal. All the regular customers asked who installed the asphalt car wash, and were told that the asphalt leaders in Norwalk had done the job. Their car wash is now paying for itself, and the owners agree that it was a very wise choice to invest in their growing business. All Star Paving & Sealing was contacted by a young man in Fairfield. The man had recently rented a dumpster that was rolled off onto his driveway. He was doing some spring cleaning, and he knew he would need a dumpster to remove all the junk from his home. Everything was fine until he had filled the dumpster with lots of old refuse. As the weight increased, it caused a large crack in his driveway. He called All Star Paving & Sealing to see if we were the Fairfield Driveway Contractor that could help him. We assured him there was nothing he could throw at us that we haven’t seen before. The All Star Paving & Sealing crew arrived at the home, and inspected the crack in the driveway. We suggested having some driveway patching done because this would allow us to repair the crack and leave the rest of the driveway is in great shape. Afterwards, we would apply sealcoating so the appearance in the driveway would match, and it would add extra protection and durability to the driveway as a whole. The customer agreed, and our crew started immediately. Once the driveway was patched and the crack was filled the sealcoating was applied. The driveway looked like a new driveway had been laid. You couldn’t even tell that there was ever a huge crack in the driveway. The customer was so glad that he called All Star Paving & Sealing who was able to repair the driveway quickly and easily, and he said he had found the number one driveway contractor Fairfield homeowners should contact, All Star Paving & Sealing. Driveway Paving in Bedford Family Make a Sale! A Bedford family had done a lot of cleaning in their house this summer and wanted to have a garage sale, which made them take a look at the curb appearance of their home. They all agreed that their driveway was in rough shape, and called All Star Paving & Sealing to have their Bedford driveway paving done. All Star Paving & Sealing took a look at the driveway, and agreed that the driveway was in need of repaving. We gave the parents a quote that they approved of. they wanted us to start quickly, because they wanted to have their garage sale soon. The All Star Paving & Sealing crew arrived on time and as scheduled. They started the repaving project and within two days we had the repaving complete. The entire family came out and took a look at the driveway and said it looked amazing! The following weekend the family had their garage sale, and they credit the success of their garage sale in part to their handsome and improved driveway that All Star Paving & Sealing had supplied for them. Not only did they get rid of most of their items and make some money, but they now have a nice, smooth, and attractive driveway that will last them for years. Some of their neighbors have asked them who they called, and they said the Bedford driveway paving experts, All Star Paving & Sealing. We always give a good price and are sure to do a great job performing the asphalt services we do best. All Star Paving & Sealing would like to thank you for trusting us with your parking lot. 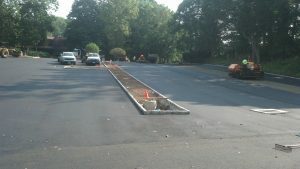 We are Norwalk’s parking lot repair and maintenance specialists. We thrive on assisting businesses with an excellent parking lot that they can be proud of. We wanted to let you know that we offer other services too. We offer parking lot installations, repairs, and all parking lot maintenance. Give us a call anytime you need our services. A few weeks ago a Bedford property manager contacted All Star Paving. The Bedford maintenance manager was struggling to patch the holes and cracks in the parking lot that he was in charge of. He had been patching the holes and cracks, but the parking lot had lost the curb appeal, and the manager was worried about the safety of the parking lot along with the appearance. 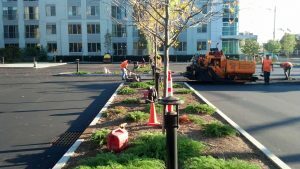 The parking lot manager contacted All Star paving, because he finally received the funds from the property owners to perform the necessary repairs that the parking lot needed by a professional asphalt company. 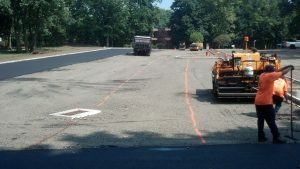 The parking lot manager wanted All Star Paving to perform Bedford parking lot repairs. All Star Paving was glad that we were able to help this client, because we understand how difficult and frustrating it can be when you try to patch a parking lot, but it isn’t effective. The All Star Paving team arrived at the property and went to work repairing the parking lot. The All Star Paving team was able to repair the Bedford parking lot exactly like the maintenance manager wanted and needed. He was very happy that All Star Paving was doing the job and it was out of his hands. The manager let us know that our team did a fantastic job on the parking lot, and all the repairs were done with professionalism and excellence. The parking lot is now safe and has the curb appeal that the property owners wanted. We were scheduled to give service to a customer in Greenwich. The customer needed parking lot maintenance, including: crack filling, pothole repairs and filling, then a sealcoating to top it off. The crew showed up on Saturday morning, as scheduled. The crew repaired the parking lot problems, then started the sealcoating. It took a few days to complete with the different steps that are included. After, we cleaned and packed up our equipment. The office called the customer on Monday to find out if he was pleased with his parking lot maintenance. The customer said that he was pleased and the parking lot looked amazing! He said he was happy that he had maintenance done, so he didn’t have to worry about further parking lot repairs because our company was always on top of any problems. All Star Paving & Sealing would like to thank you for trusting us with your parking lot. We also want to thank you for your review. Customer reviews are very important to us, because it lets us know that we are providing excellent services. It also lets Greenwich residents know that they can count on All Star Paving & Sealing for all of their driveway and parking lot needs. Our services include: driveway repairs and installations, sealcoating, and all maintenances on driveways. 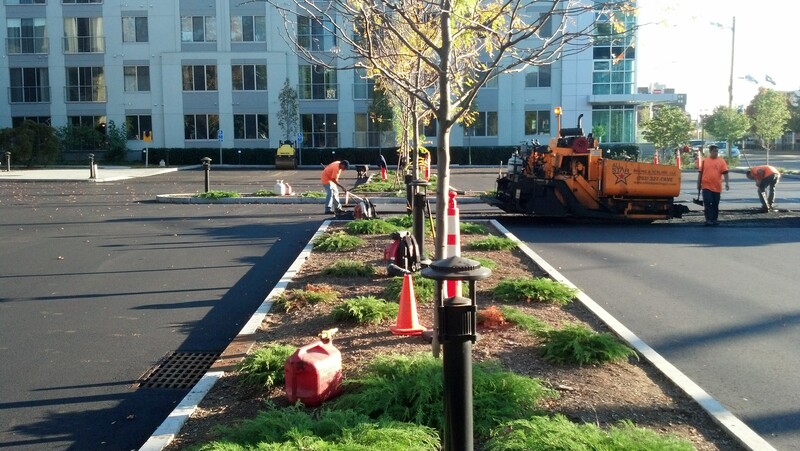 For more information on Greenwich’s trusted parking lot maintenance, click here! All Star Paving & Sealing was called out to Westport to give service to a customer. He wanted his parking lot seal coated. The parking lot had become worn out over time, and potholes had formed. The potholes and cracks would eventually deteriorate the subbase of the asphalt on the parking lot and cause critical damage that would end up costing the customer a lot of money. The team arrived on time, and started to fill the potholes. There were several cracks that needed to be filled, too. Once the team repaired the parking lot, they started to sealcoat the lot. They completed the parking lot and asked the customer to take a look at the work. The customer told us that he had never had any repairs done to the parking lot and he was starting to get concerned when all of the potholes were forming. He said he went on Google and did a search, and our company was the top provider, so he called us. All Star Paving & Sealing would like to thank you for trusting us with your parking lot. We thrive on providing excellent parking lot sealcoating and services. We have been providing parking lot services for over twenty years, and would like to let you know that we offer parking lot maintenance, repairs, and installations. 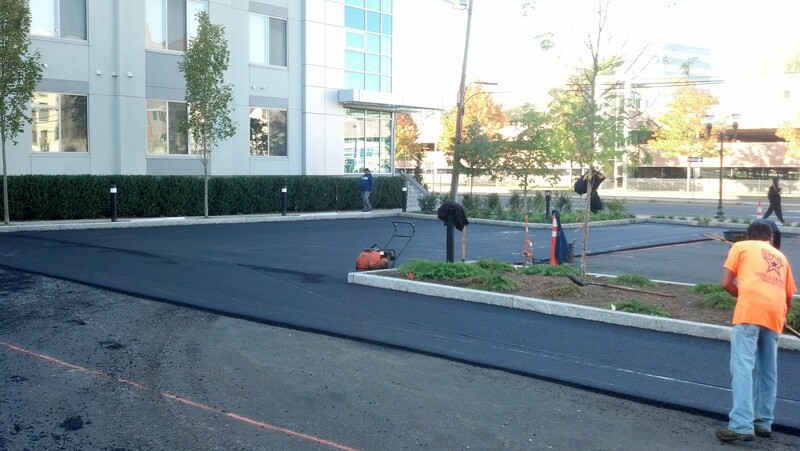 Call All Star Paving & Sealing for all your parking lot problems!